Kashgar locates on the temperature zone of dry continental climate. 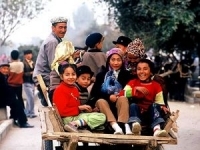 Due to its complicate terrains, the climates in Kashgar differ widely in different areas. 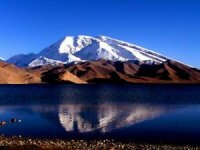 Generally, there are five climate regions, namely, plain, desert, highland, Pamirs and Mt. Kunlun climate regions. The city proper locates on the plain climate area, which features four distinct seasons. The summer is longer while the winter is shorter. As to the temperature, the annual mean temperature is 11.7 ℃, with the highest at 49.1 ℃ and the lowest at -24.4 ℃. Despite its remoteness Kashgar has long thrived as the junction of routes around both sides of the Taklamakan, from Tibet, India, Afghanistan and Russia. 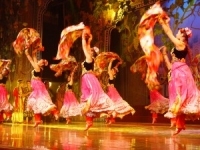 It has always been an important city on the Silk Road, and it enjoyed the reputation of “Pearl on the Silk Road.” There are plenty of natural and historical sightseeing places in Kashgar. The Idkah Mosque, Great Sunday Bazaar and Karakuri Lake are are among the top attractions in this city. Kashgar Great Sunday Bazaar is one of the largest bazaars in central Asia. 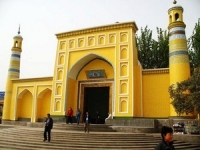 The Idakh Mosque is the largest Masjid in Xinjiang Uyghur Autonomous Region.